I didn’t think; I let my emotions get away with me. How many times have we all made rash statements or decisions? If we are honest, more often than we would like to mention. How many of these instances have come back to bite us or as we often put it, “We cut our nose off to spite our face.” In the heat of battle, Saul made a rash decision. His rashness affected not only himself, but his warriors, as well as his own son. An army needs fuel to fight and they get this fuel from eating. A weary and hungry soldier is one who cannot focus and doesn’t have the strength to meet the enemy in battle. 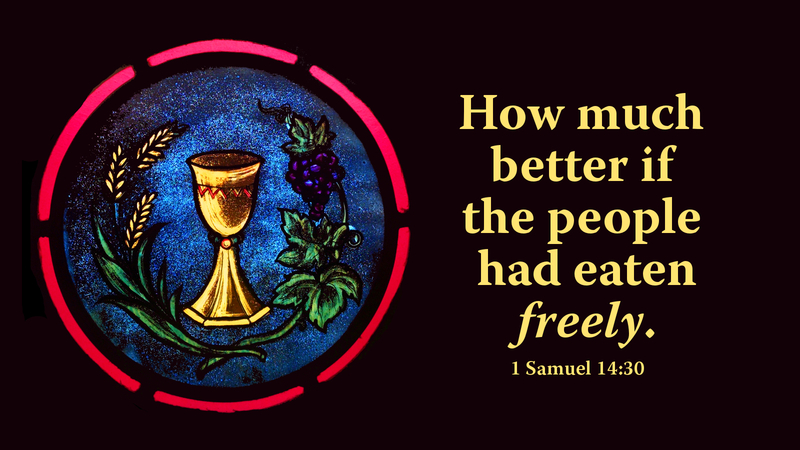 Saul, in his vengeance-fueled rage, hurt his own cause by denying his soldiers the nourishment they needed. In our Christian walk, we will encounter moments and issues that will try our souls. It is in these times that we must turn to Christ for nourishment, being very deliberate in our focus and walk with God. By waiting on God and not rushing into things, we could well save ourselves from the error of Saul. Prayer: God, keep us from being rash. Amen.